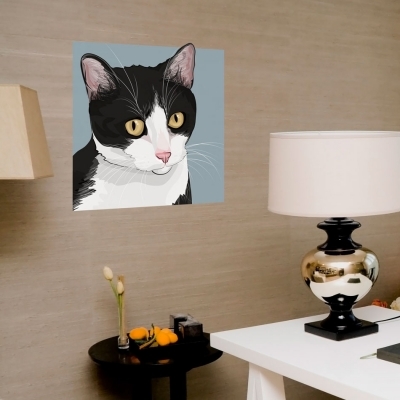 Black and White Cat Printed Wall Decal Drawn by Diesel & Juice Illustrations. Please note: Colors may vary slightly from the image above. Celebrate your love for cats with this very modern and stylish decal!